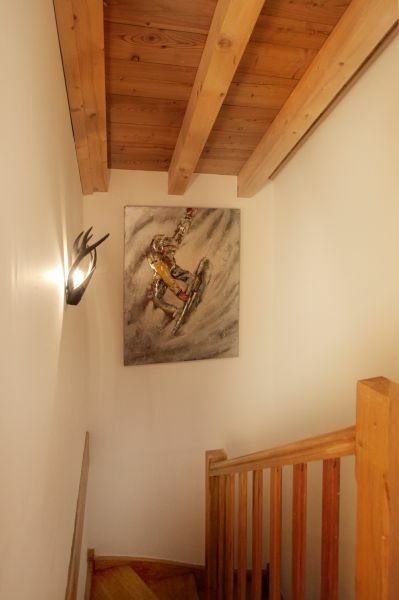 Nice duplex of 53m² Carrez (59m floor) completely rebuilt from scratch in November 2014 in the chalet "Le Chantelouve "
Ideally located 50 meters from the slopes and close to ski schools. 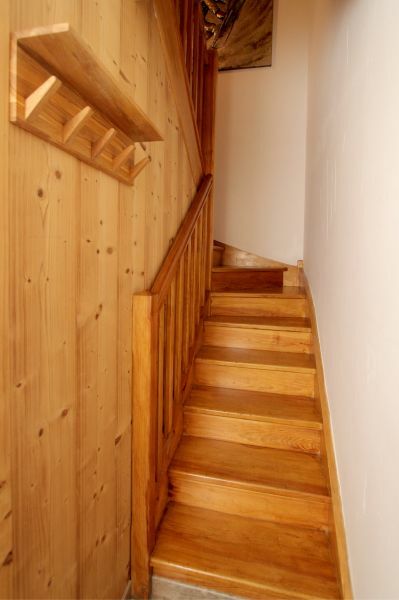 100m from the town center with all shops (with an excellent bakery + 50m). In addition to an ideal location, you can enjoy the terrace south of 21m² with deckchairs. 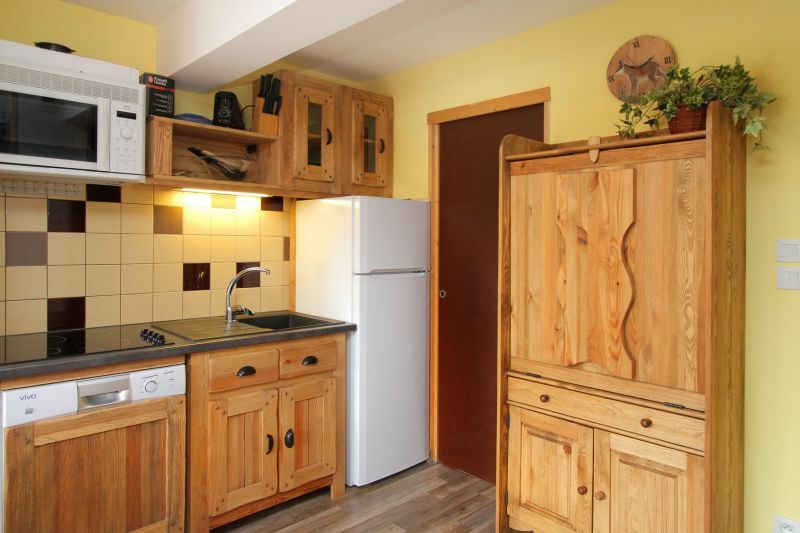 The cottage is surrounded by trees, the view is unobstructed and the cottage is a retreat from the street allowing you to stay in a relatively quiet environment. You will also benefit from a parking space in the basement closed. 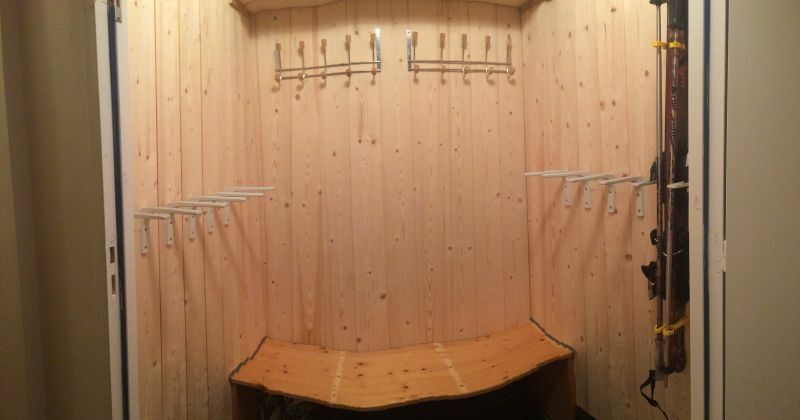 Ski storage is also available on the ground floor. The duplex can accommodate 8 people (maximum 3 couples - 2 children). 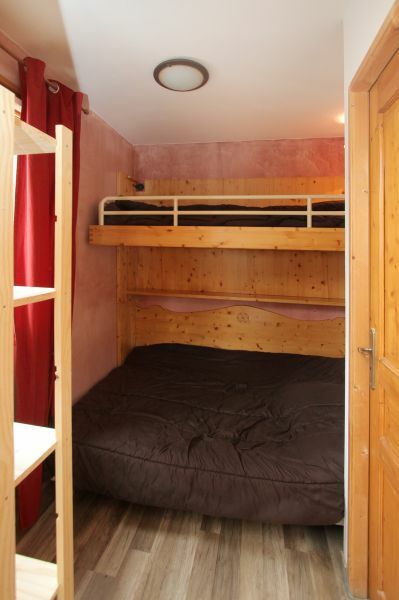 A room "cabin " of 4.30 m² with a double bed 140x190 + 1 single "Type Wagon " 80x190. * Part KitchenAmerican fully equipped with dishwasher + sized refrigerator with freezer + 4 ceramic hob cabinet "Berger " with dishes. - Sofa style "Mountain " with coffee table + TV 22 'with telescopic arms. 1 Corridor access to rooms with corner "laundry " including washing machine and dryer capacity. 1 bedroom 10 sqm with 1 double bed 140x190 + 1 single bed + mezzanine 90x190 large fitted wardrobe with hanging part TV + 20 '. 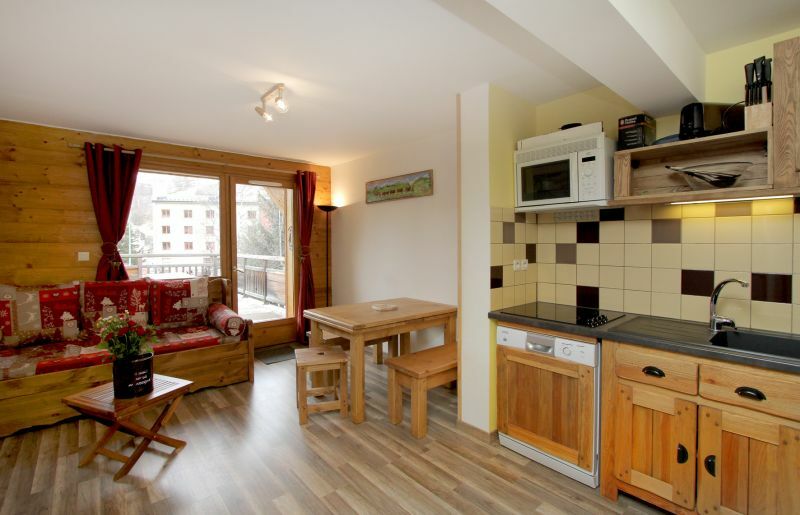 1 bedroom of 11 m² with 1 double bed 140x190 + a rolling wardrobe party + TV 20 'with direct access to the balcony. Coffee Single + Toaster + Camera + fondue and Raclette stone grill unit + mixer multifunction + microwave / grill with hoodintegrated. 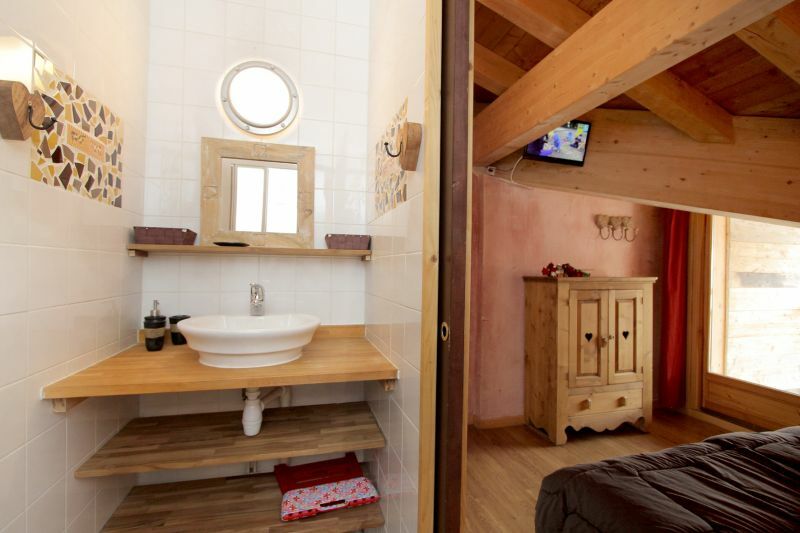 In a warm, come and enjoy a fun and relaxing time in the cottage Chantelouve. 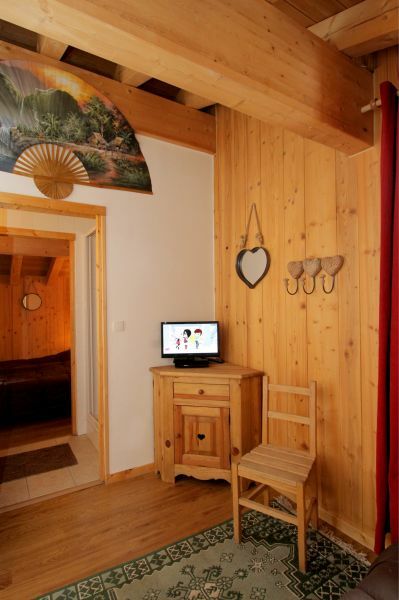 The chalet has 3 apartments, the frame is very "cosi " because you will not feel locked in an apartment. The decoration is of style "mountain " from the kitchen to living room through the bedrooms. We are certified 3 "key holiday " Mountain. 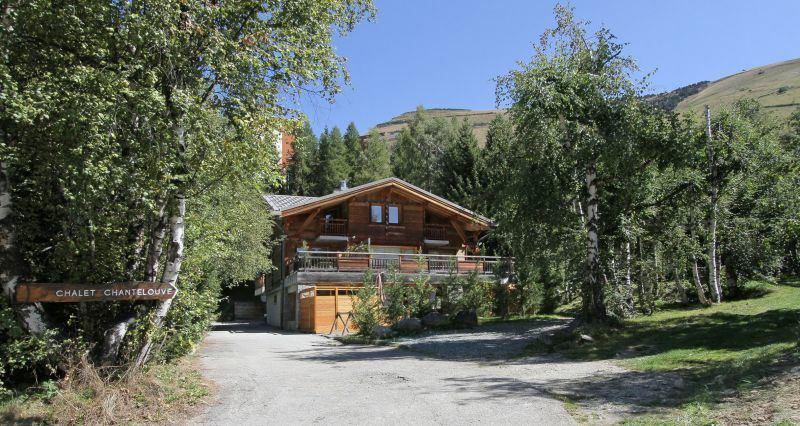 Ideally located 50 meters from the slopes and in the immediate vicinity of the ski schools. 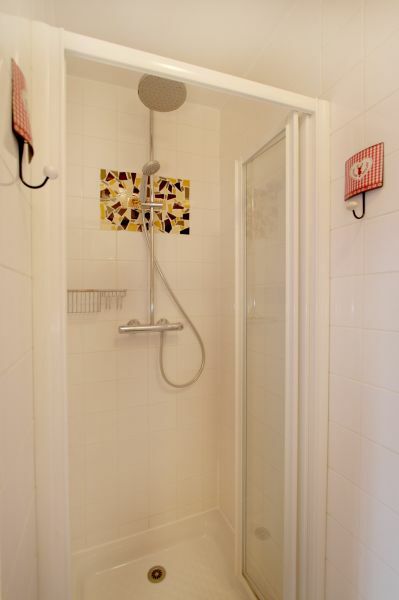 100m from the town center with all the shops (with an excellent bakery in + 50m). 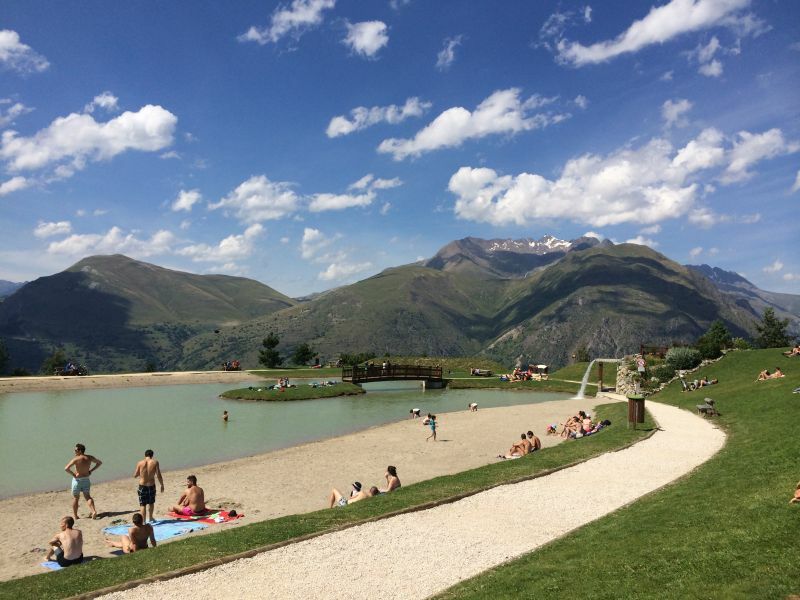 After Le Freney d'Oisans, the Chambon dam, turn right: Les 2 Alpes. 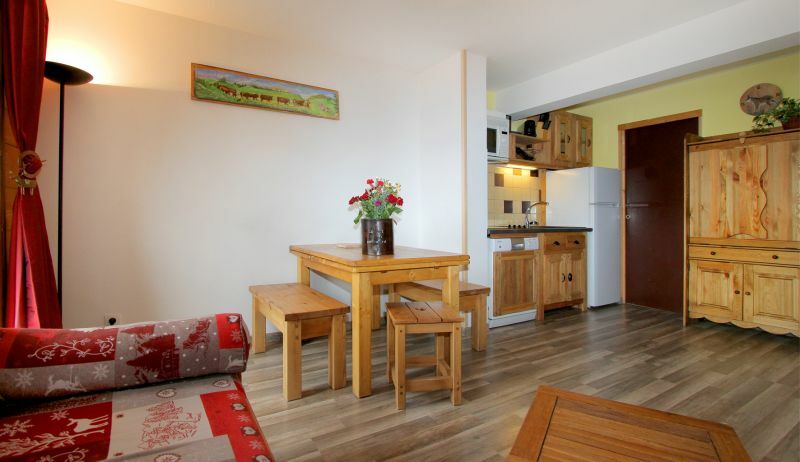 Apartment on the 1st / 2nd floor of a nice chalet on the road to Champame which leaves on the left when we arrive at Les 2 Alpes. 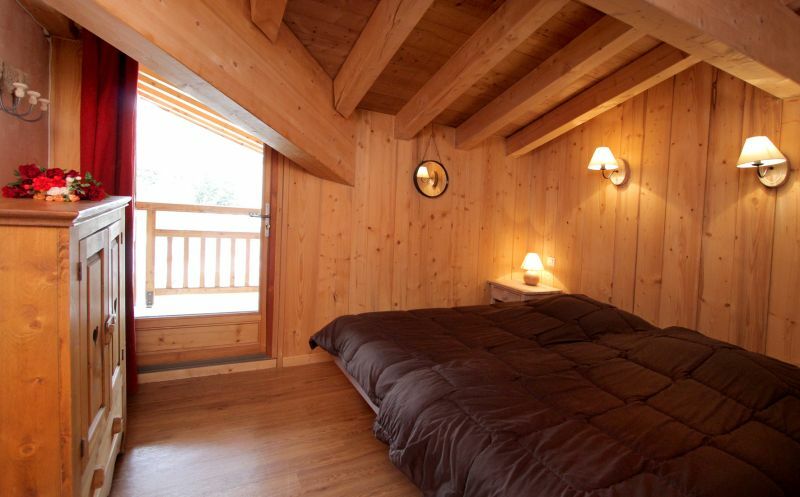 The chalet is very well located near the slopes and lifts (Belle étoile, ....). Families with young children will appreciate the proximity of beginner slopes. Skiers can take several chairlifts with little expectation to climb in altitude (noticeably less than starting from the super Jandri or Chairlift du Diable). 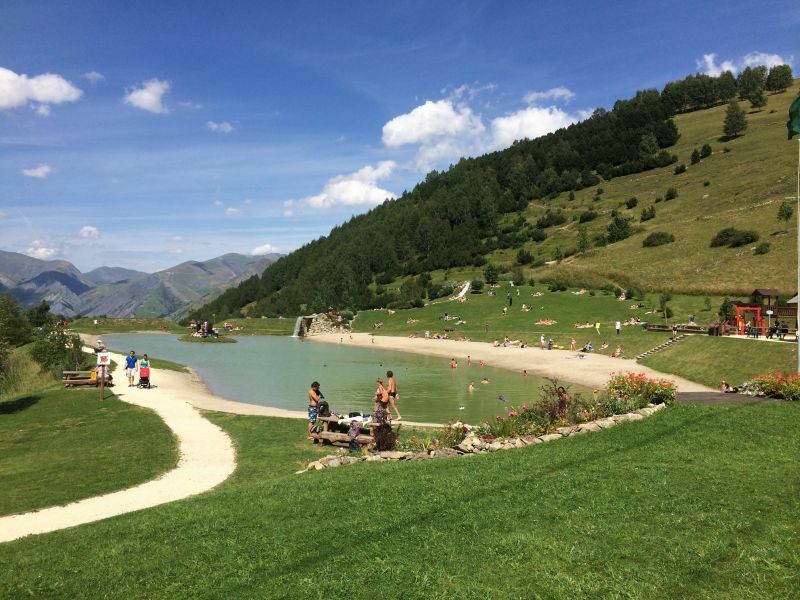 NB: The 2 Alpes resort is a very well managed resort (Compagnie des Alpes). It is possible to ski all day without queuing (except once in the morning to climb in altitude depending on the schedule) and in full school holidays! For the passionate skiers we are, it's absolutely exceptional (with the off-piste possibilities) and we go back there every year for that reason. There are 2 restaurants (nice) and a bakery nearby. By cons minettes are farther in the middle of the station. 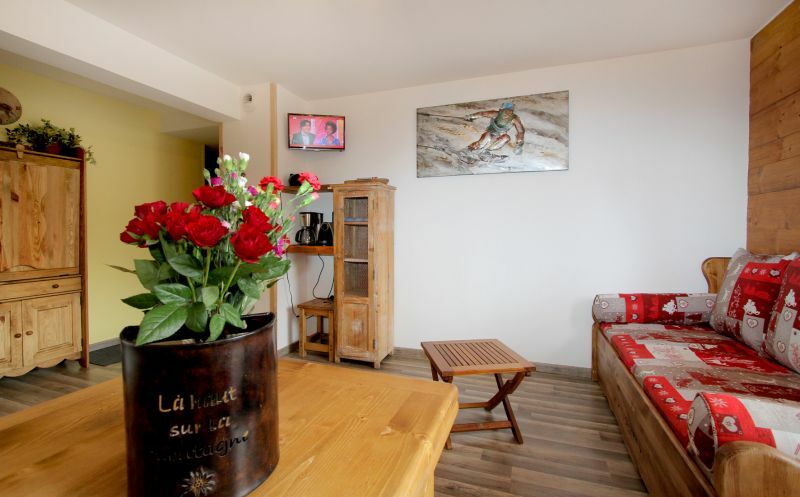 The chalet is well equipped: raclette grill, internet / wifi efficient, satellite, toaster, capsule coffee machine,standard coffee maker, etc ... TVs are numerous (stay and all rooms) but small, but it does not matter: today it is better to have a good internet connection. There is a terrace equipped with table and bench, really nice when the weather is nice, with a nice view. Smokers will appreciate not having to go down. A covered garage with remote control opening will keep your car warm and easy to install. The ski room reserved for the apartment is very large and it is very appreciated. The rooms are big, but the living space is small for 8 adults (we had to be 6 and finally left for 3). There is only one sofa for 3 people. I would recommend it to two couples with children. The apartment lacks brightness following the change for low energy light bulbs. It would be necessary to add some lamps or lamppost. It lacks 1 or 2 large pots. Little trick: the front door does not close very well. You have to lift it a little to lock it. In station, withdifferences in temperature, humidity, woods play a lot, it's normal. In the end, we are very satisfied with our rental and our stay. 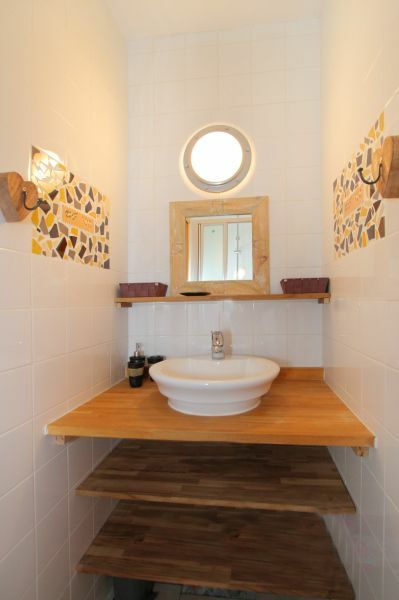 We advise this rental especially to families with young children. Thank you very much for your very positive comment which also describes very well the atmosphere of the station. We appreciate very much the detail of your appreciations, it is what allows us to improve according to the feelings of our tenants. With regard to the areas for improvement, we take note of them. We will actually bring back two big pots. For brightness, too, we will add other lights and we will check the front door when we go down there. Finally in terms of the number of people, we specify that it is ideal for 6 adults and 2 children. 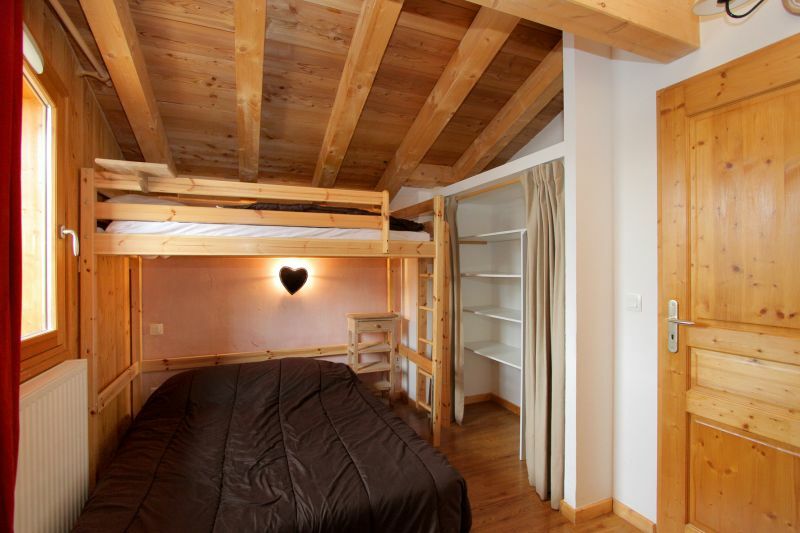 We generally refuse rentals for 8 adults, (there are only 3 double beds) and it is not nice to be cramped especially to ski ... Thank you again for everything and you are welcome if you want to come back next time! 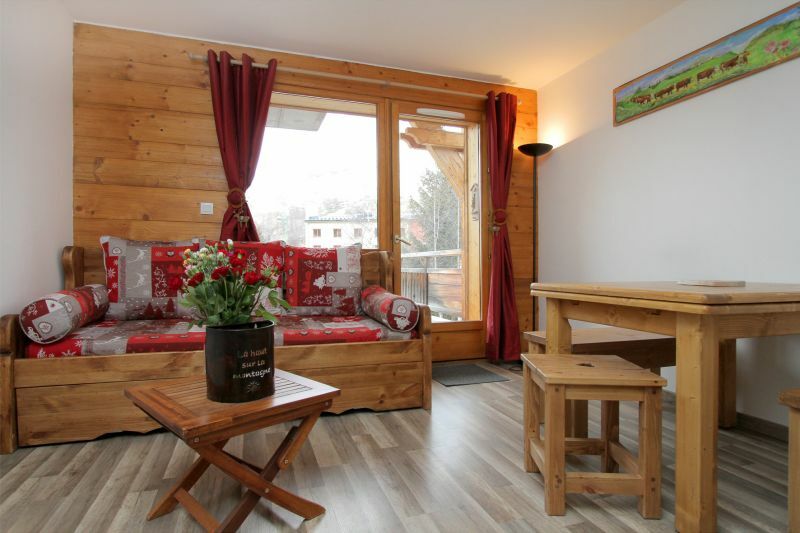 We spent a very pleasant week in this chalet ideally located 3 minutes walk from the slopes. We were 4 adults and 3 teenagers. 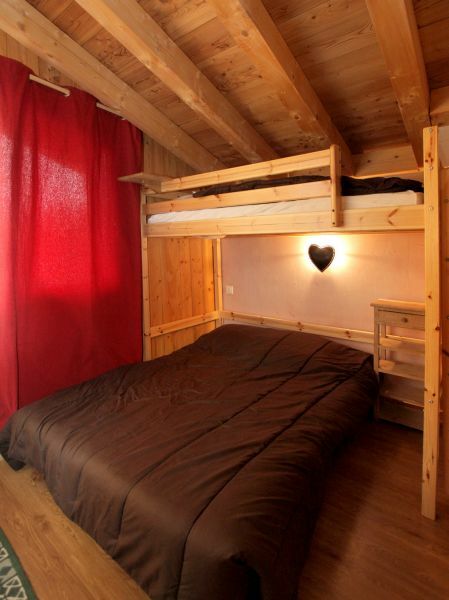 Do not be over or so with two teens and two small children who will sleep in the bunk beds. The crockery equipment, perfect appliances. How comfortable the dishwasher, washing machine and dryer! A weak point: the sofa is very uncomfortable because of its slumped seat. A strong point too: the terrace which allowed even in February to take the midday coffee in the sun. Thank you very much for your very positive comment. As for the sofa, we will see on the spot just to see how to improve the seat. Indeed, I suspected that you would be a little tight because we had spoken at the time of booking (and I made it clear that it might be just for bedding). The property is ideal for 6 adults and two children. Teens are too big for mezzanine beds. I am glad that you enjoyed your stay and we will be happy to welcome you next time perhaps. 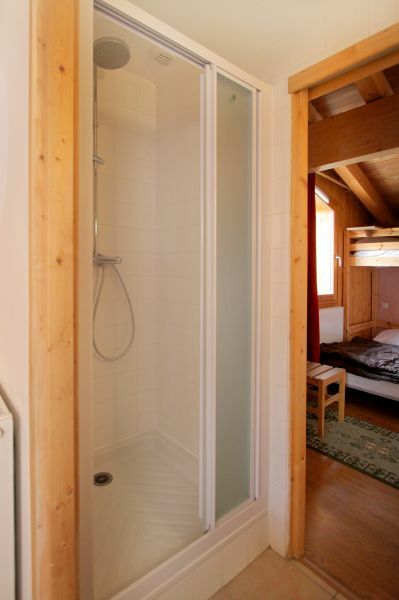 Functional and well equipped chalet. Very well located close to the slopes. 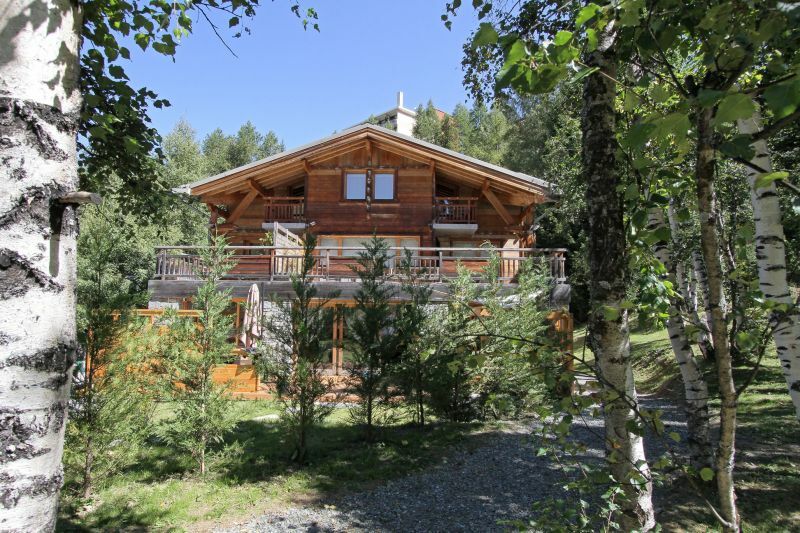 Very happy about our holidays, chalet on top, all the comfort is there. 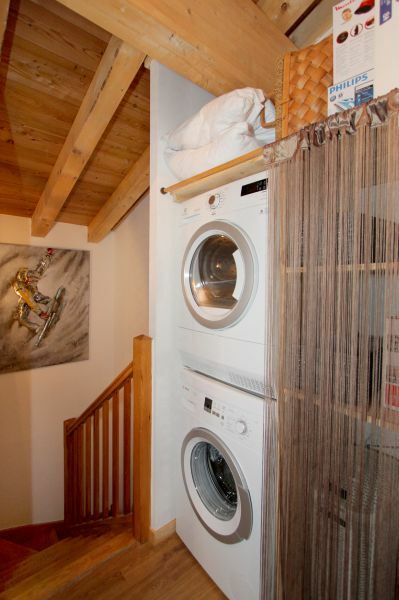 Washing machine - dryer - barbecue, also close to shops and ski lifts. The ideal for holidays with family or friends ... strongly the next holidays! Thank you very much for your kind comment. You come back whenever you want! We did not know the resort of the 2 alps before booking. We had a great holiday. Everything was there: Sun, snow of quality, very commercial and animated station and to complete the whole our lodging was perfect. To sum up, we hope to return next year. Happy holidays to the next ones. Thank you very much for your positive feedback! We are very happy that you enjoyed the resort and our apartment ... See you next year if you feel like it! This very functional apartment is very well equipped. Nothing is missing as well in the kitchen as for the comfort. The bedding is excellent. The decor is really nice. The terrace is very nice (when there is not too much snow ...). The housekeeping is always impeccable (this is the third time we rent). 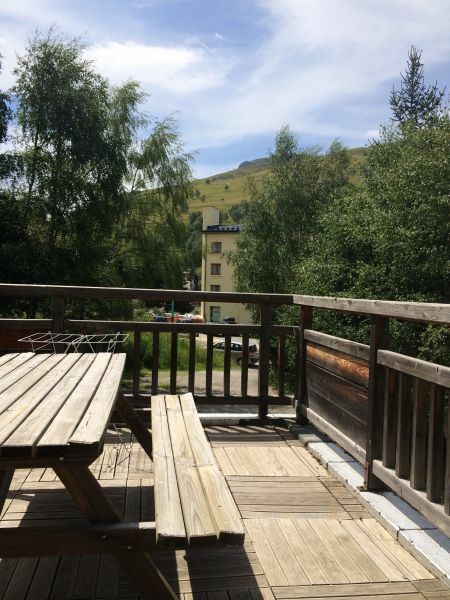 The apartment is in a very nice quiet chalet and it is really very well located: the slopes and the ESF meeting are 50 meters from the chalet, all shops between 50 and 100 meters. We can do everything on foot! The parking space in the covered garage is a big plus but you do not need a car higher than 1.80 m. Access to the garage is always clear. To sum up, this is a very nice rental for 8 people! We recommend ! Thank you very much for this very positive opinion about our accommodation. It is always a pleasure to welcome you to our home. See you soon. Housing well located, comfortable, very welcome. Thank you very much for your very nice opinion. We hope to see you again soon. Week from 01/12/2018 to 08/12/2018 700,00 ? Week from 08/12/2018 to 15/12/2018 700,00 ? Week from 15/12/2018 to 22/12/2018 700,00 ? Week from 22/12/2018 to 29/12/2018 2360,00 ? Week from 29/12/2018 to 05/01/2019 2360,00 ? Week from 26/01/2018 to 02/02/2019 1 390,00 ? Week from 02/02/2019 to 09/02/2019 1,390.00 ? Week from 09/02/2019 to 16/02/2019 2 360,00 ? Week from 16/02/2019 to 23/02/2019 2 360,00 ? Week from 23/02/2019 to 02/03/2019 2 360,00 ? Week from 02/03/2019 to 09/03/2019 2 360,00 ? Week from 13/04/2019 to 20/04/2019 1 000,00 ? Week ofFrom 20/04/2019 to 27/04/2019 1,000.00 ?